A GALS (Globally Asynchronous, Locally Synchronous) system consists of several synchronous components that evolve concurrently and interact with each other asynchronously. The design of GALS systems is tedious and error-prone due to the high degree of synchronous and asynchronous concurrency present in complex architectures. 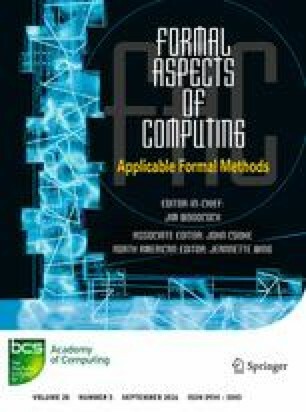 In this paper, we present GRL (GALS Representation Language), a formal language designed to model GALS systems, for the purpose of formal verification of the asynchronous aspects. GRL combines the synchronous reactive model underlying dataflow languages and the asynchronous concurrent model underlying process algebras. We propose a translation from GRL to LNT, a value-passing concurrent language with classical process algebra flavour. This makes possible the analysis of GRL specifications using all the state-of-the-art simulation and verification functionalities provided by the CADP toolbox.